Guido Kirsch, the man behind Neo Instruments is far from a stranger to the scene. As founder and boss of Access Music, he developed the virtual analogue synthesizer VIRUS, together with Christoph Kemper. The VIRUS was introduced at the 1997 Musikmesse. VIRUS was an immediate success and became a studio standard within a few years. Its fat sounds and intuitive flexible handling made it a must have tool for all kinds of music styles. After leaving Access Music in 2007, Guido Kirsch started Neo Instruments as a new platform to develop his ideas. The philosophy of Neo Instruments is creating uncompromising instruments for discerning musicians. Neo Instruments develops musical instruments they want to play themselves. A rotary speaker in a box, without moving parts, that’s what the Neo Instruments Ventilator II is. Guido Kirsch spent over two years developing the Ventilator, a virtually modelled version of the Leslie cabinet. It turned out to become a very convincing Leslie simulator. 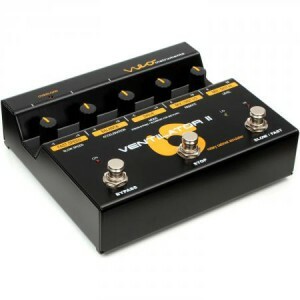 The Vent II does not just sound right, it’s also easy to operate and comes in a rock solid housing.